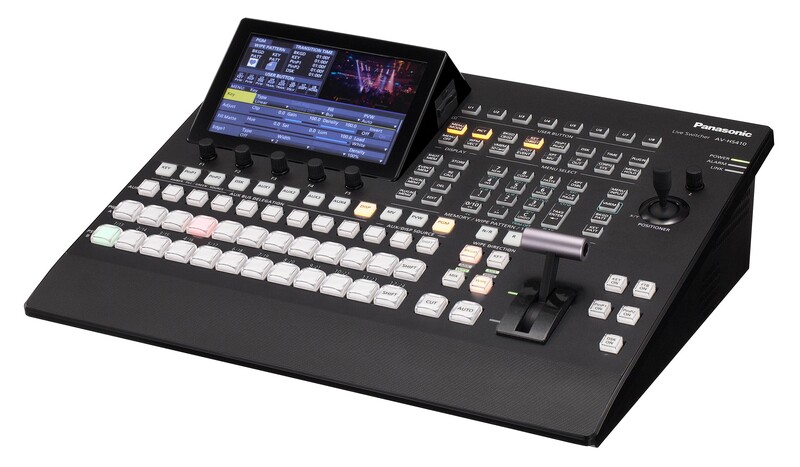 The AV-HS410 is an HD/SD selectable 1ME Switcher that rivals many high-end switchers by incorporating a host of inputs and outputs, effects and system expandability into its compact, 19 type, half-rack size. It comes standard with 9 inputs and can increase a maximum capacity of 13 inputs when optional boards are mounted. 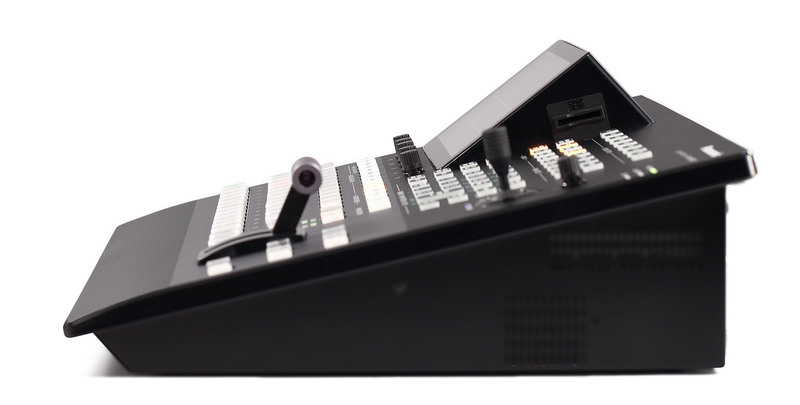 It provides versatile effects, including transitions with digital video effects and Primatte® chroma keying. Its 177.8 mm (7 inches) color LCD monitor improves operability by an easy-to-see setting screen, new video memory, Memory Preview, enhanced MultiViewer functions, and a button layout that is designed to simplify live relay operation.